The land which is very close to nature, Thailand offers numerous adventures that can entertain its visitors. From the breathtaking skydiving to the exhilarating Whitewater Rafting, Thailand has all the options to welcome its tourist guests. 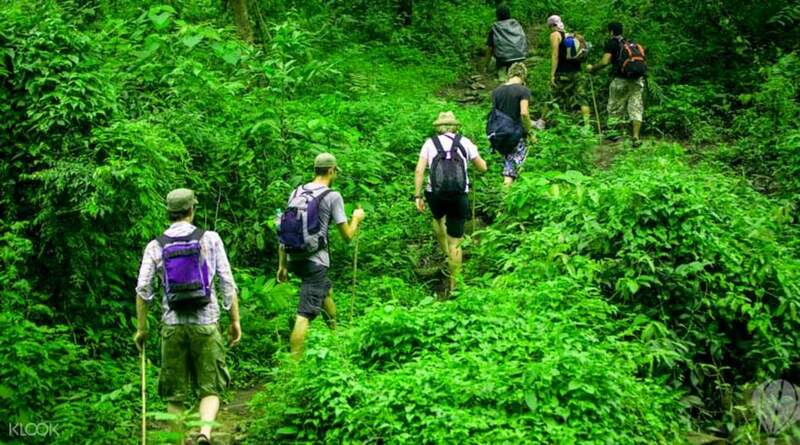 Its trekking trails allow visitors to explore the difficult rainforests and hamlets. If you are planning to go with your family then you can book Thailand tour packages at affordable prices. 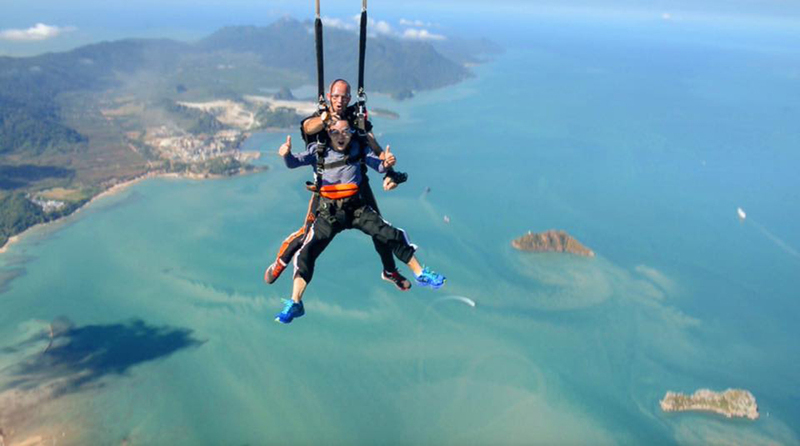 If one is looking to boost up the adrenaline with Skydiving, Thailand is the perfect delight for those. A unique and breathtaking scary experience of Skydiving can be taken all through the year in Thailand. Strap yourself to be a jumpmaster and experience the thrill of a lifetime. Many canoeing adventure providers are available in Thailand. 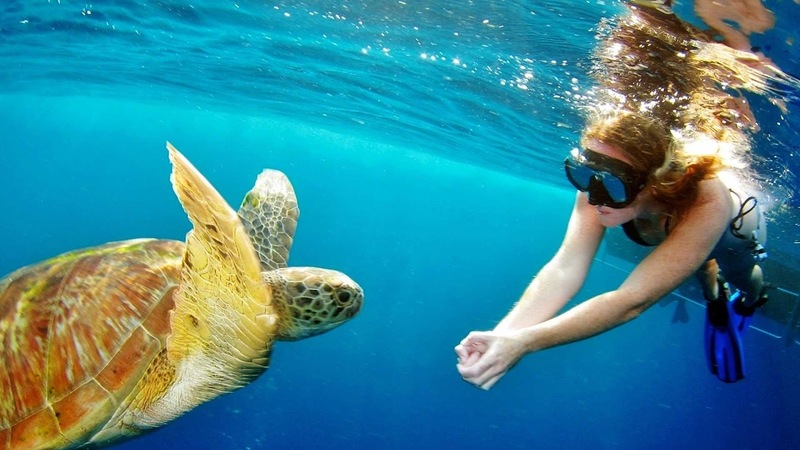 Book one of them and explore the vibrant marine life by going deep on the side of rock islands. 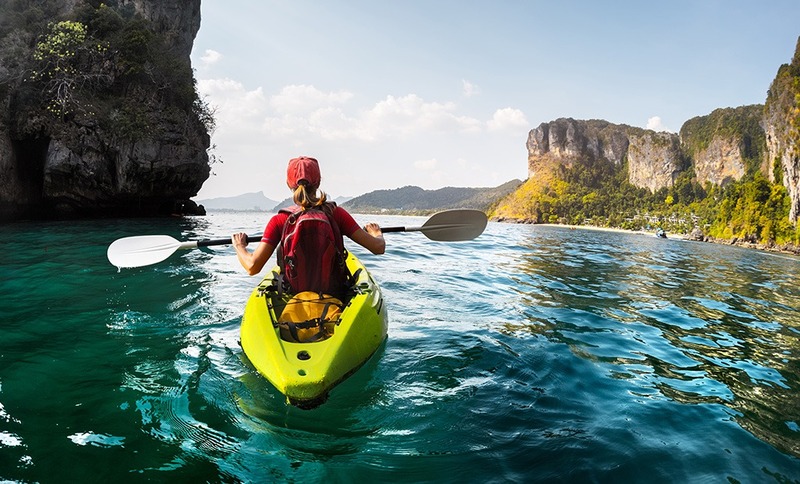 One of the most thrilling adventures, Kayaking will bring you the real adventure experience. 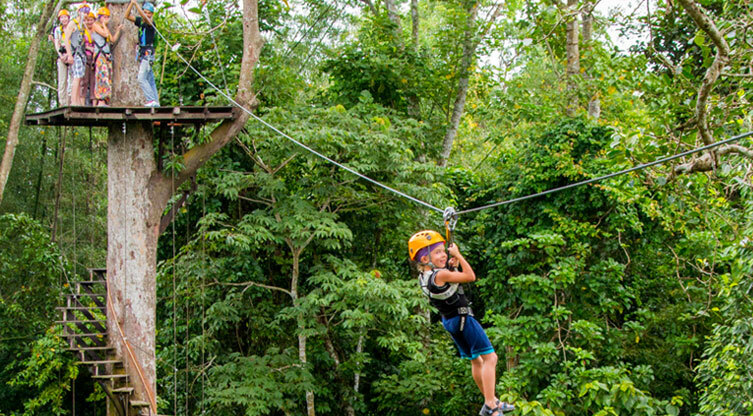 Explore the lush greenery through the Canopies of the Chiang Mai rainforests. You will be hanged on a rope through cables and then you will ride the rope which is adjusted declined through the 1500-year old Thai rainforest. Dive into the sea and explore the vibrant marine life. The open water diving into the sea will get you the ultimate experience of coral reef and amazing marine life. Experts are always ready to teach you how to dive into the sea with all the equipment and accessories. Though it was not popular in past years now it’s being famous day by day as tourists are taking part in it with their full interest. 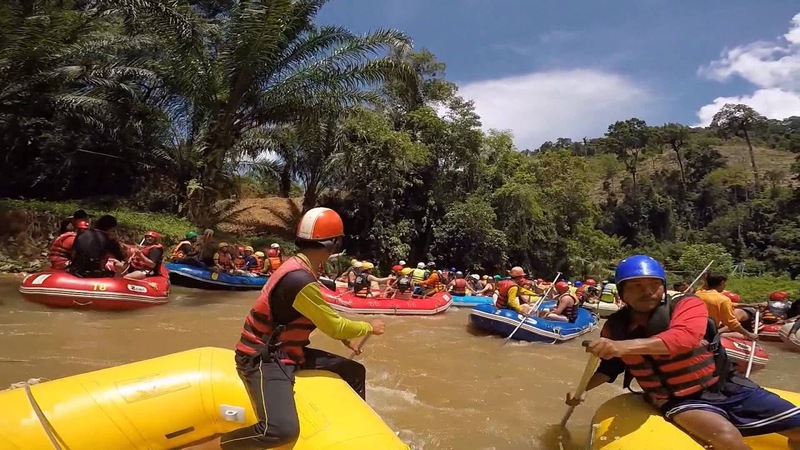 The rapid water flows in Southern Thailand’s Phang Na Province guarantee you for an exhilarating Rafting experience. 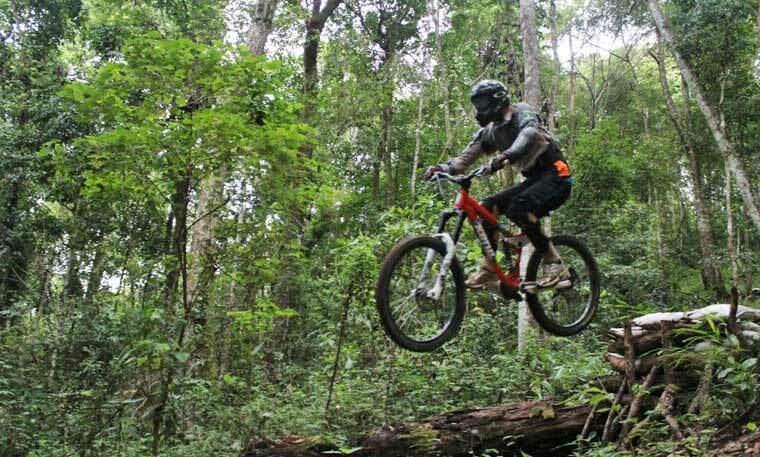 Explore the Thai Wilderness on two-wheels as Mountain Biking is very much popular in this country. There are many tours available to explore the country but M.T Hill tour is one of famous from them. It offers rides lasting from a few hours to a full day. The wildlife gets disturbed with the tourism industry and thus the government decided to make an Elephant Sanctuary by the famous Lek Chailert who received an award for saving the Asiatic Elephants. A large number of tourists visit this Elephant Sanctuary every year. The Elephant Sanctuary shelters elephants which are abandoned and neglected in the logging and by the entertainment industry. 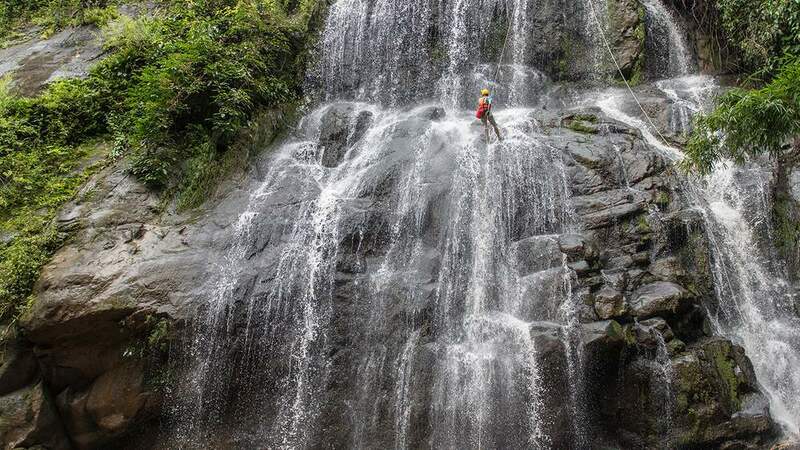 Number 8 is Waterfall Abseiling in our list and it is dedicated to those are fond of rock climbing or repelling. This tough kind of adventure takes you up through the roaring cascades falling from the breathtaking height of the mountain. The high-level adventure will make you feel your heart in your chest as you climb up on a 35 feet-height of the waterfall. Awaken and adventurer inside you and hit the tough trekking trails of Thailand. The most difficult 3-day trek through the mountain ridges and rainforests will bring a thrilling fun to your life. The guided tour will help you to conquer all the difficult trekking trails. 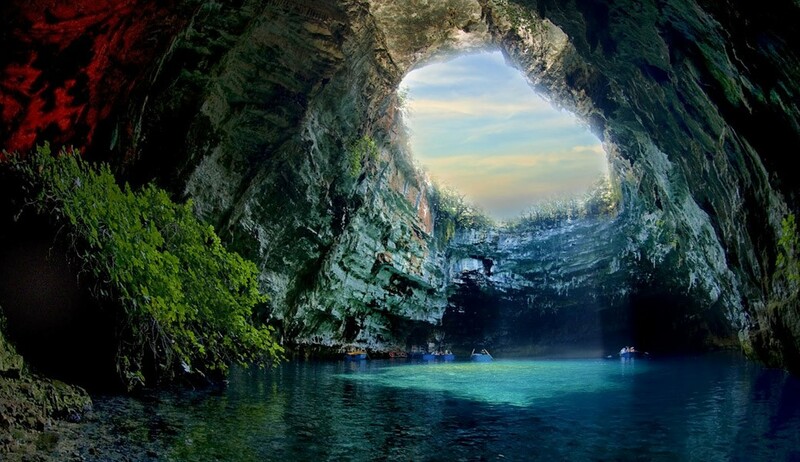 Reach to the heart of Thailand by exploring the ancient caves. Amazing caverns are also there in the Pang Mapha District of the Mae Hong Son Province. By exploring these caves, one can discover the wildlife, history, and geology. Expert guides will always help you to explore the vertical caves, collapsed caves, and geological labyrinths. Thailand is all about indulging in adventure activities and exploring the rugged terrains and places. Book Budget Thailand Packages and unveil the beauty of Thailand with your family or friends.